Cauliflower is one of the most versatile veggies when it comes to replacing starches or breads in recipes. This recipe from Every Last Bite does just that to create an alternative to traditional stuffing. 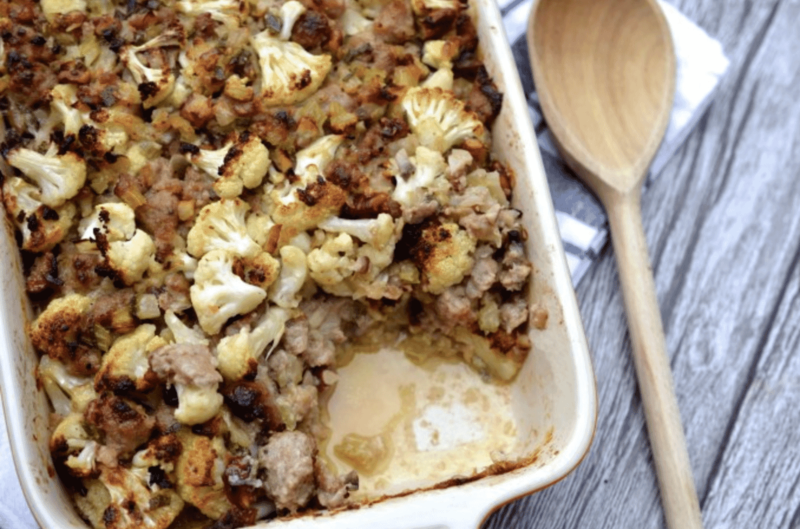 Whether you are low carb, AIP, Gluten-Free, or just want a better alternative to traditional stuffing, this recipe fits the bill. AND it's simple enough to add to your weekly meal prep rotation.